When we started MiLi Markets in July 2014 to help small businesses during those quiet winter months, we also knew that we would look for ways to help meaningful charities when we could. 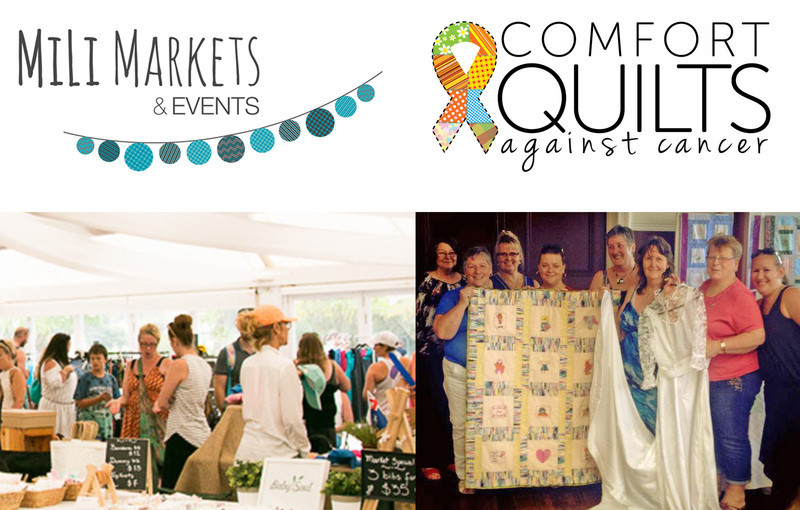 Four years later, our passion for running markets and helping small businesses burns as strongly as ever and when we came across Bronwyn, the lady behind “Comfort Quilts Against Cancer” guess what happened? The MiLi Market Fund Raising event to support Comfort Quilts Against Cancer was born. This event will be held on the 23rd of April from 10 am to 4 pm, at the Swan Italian Sporting Club in Middle Swan. There will be a wide variety of food vans, great music and lots of free activities as well, to keep the little ones entertained. Part proceeds from all stalls booked will be donated to CQAC and so will 100% proceeds from the sale of the Raffle tickets, that you can buy at the event to show your support. What makes this charity so special to us and why do you think you should help us support them? One happy little girl with her comfort quilt. Research shows that Cancer affects many families each year and the journey is often mentally, physically and emotionally challenging for both patients, their families, friends and can often get lonely or exhausting. CQAC was started by a very kind and thoughtful person by the name of Bronwyn, to make a difference in the lives of as many Cancer patients in Regional Australia as possible, in their own unique yet meaningful way. The passionate members of this Non-Profit organisation lovingly make colourful, embroidered, handmade patchwork quilts for cancer patients all over regional Australia and post them for Free. However to keep such a meaningful non-profit organisation running, they constantly need volunteers and they desperately need funds and we at MiLi Markets wanted to help CQAC, so that they can carry on reaching out to as many Cancer patients as possible. To those that do not know, MiLi markets thrive upon helping and encouraging other small businesses and non-profit organisations but we also like to get others involved when it comes to supporting a great cause as CQAC and we have done this by organising the sale of raffle tickets at the Fundraising MiLi markets event. So visitors to the market can contribute too by buying raffle tickets at the event. 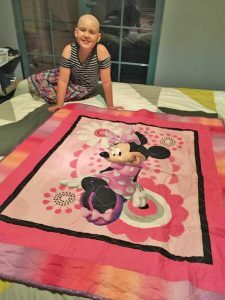 All proceeds from the sale of the raffle tickets will be donated to, so that they can keep making their handmade comfort quilts and bring smiles to the faces of more cancer patients in Australia.